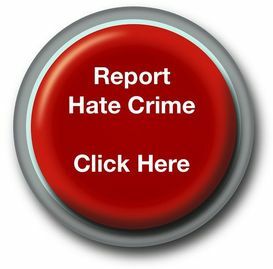 The police service has launched a new way for victims of hate crime to report hate crime online. The website, called True Vision, is supported by all forces in England, Wales and Northern Ireland and can be accessed at www.report-it.org.uk. The police service believes that the website will help increase the reporting of hate crime by building confidence in victims and offering a range of reporting options for victims who may not wish to talk directly to the police. It also provides links to a number of organisations who can offer support. In November 2007, ACPO Cabinet gave its support to a common definition of ‘monitored hate crime’ which had been developed with other agencies under the cross government Hate Crime Programme. This is now the accepted definition across all criminal justice system agencies and relevant government departments. It monitors hate crimes based on disability, race, religion, sexual orientation and transgender. The definition can be found at: http://www.report-it.org.uk/files/hate_crime_shared_definitions.pdf. The government outlined its commitment in ‘Our Programme for Government’ in May 2010 to promoting better recording of hate crime which it believes are often not recorded. More details on True Vision can be found on the site itself: www.report-it.org.uk. The site includes a secure online reporting facility that allows victims and witnesses to tell the police about hate crimes. The facility automatically distributes reports to the relevant police force. The ACPO Press Office can be contacted via 020 7084 8946/47/48 (office hours) or via 07803 903686 (out of office hours). 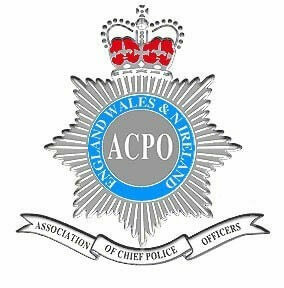 The Association of Chief Police Officers (ACPO) is an independent, professionally led strategic body. In the public interest and, in equal and active partnership with Government and the Association of Police Authorities, ACPO leads and co-ordinates the direction and development of the police service in England, Wales and Northern Ireland. In times of national need ACPO, on behalf of all chief officers, coordinates the strategic policing response. ACPO’s 338 members consist of 251 Chief Police Officers from the Home forces of Assistant Chief Constable rank (Commanders in the Metropolitan Police and City of London Police) and above, plus 70 Senior Police. Staff members from the 44 forces in England, Wales and Northern Ireland. Non Home forces such as British Transport Police have 14 Chief Police Officer members and there are 3 members from the Service Police.